Search engine marketing is quickly becoming a massive industry, with numerous start-ups competing for the millions of businesses that need their marketing services. Thus, there are some questions you should anticipate from the prospective clients regarding your services. SEM RFPs allow you to assess the potential partnership with your clients since they provide more than just information to the prospective clients. The goal of the SEM RFP is to help ensure that the business relationship will be successful for both parties involved. Typically, you can gauge the potential of the business relationship based on the questions asked by the prospective clients. So what questions should you anticipate from prospective clients? Your client will want to know what you primarily focus on a site. Thus, your SEM strategy should involve all aspects that will give the client the answers they seek. For example, you can choose to focus on all the elements of a site; from foundational to technical aspects including off-page factors, on-page elements, social analysis, SEO comprehensive analytics. This question should be addressed concretely, giving real-life examples of how you have handled these aspects of the websites. This move shows the prospective client that you have the best strategies to organize their sites in such a way that your search engine marketing services bring value to the client. Every business has its ebbs and flows, including web-based companies. Seasons like holidays, global sporting events and inclusive holidays will affect the industry, and your prospective client will need to know how you will handle seasonality. For example, if the client's business is based on tourism, things like weather patterns and seasons will affect their business traffic. 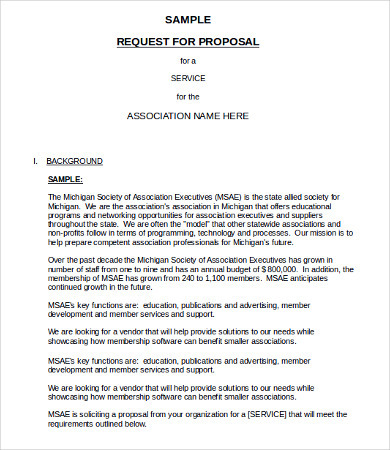 Specify your strategies in the SEM RFP. Let the prospective client understand that you have the plan to ensure business doesn't come to a stand-still due to a seasonal occurrence. You can also showcase how you have taken advantage of the seasons and holidays in a bid to market other clients and the success that came with it. The bottom line is that you ensure that the client sees value in working with you, not just marketing strategies. 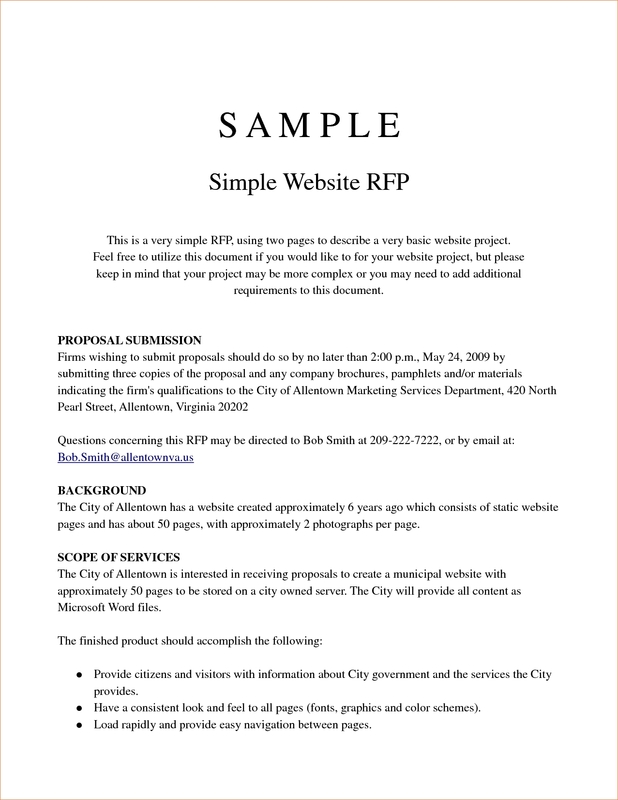 In the RFP, the client may wish to know how your approach will contribute to the overall digital plan of their website. They may want to know which additional digital marketing angles you will consider. This opportunity is the chance for your SEM agency to showcase how their overall strategy will work with other digital marketing techniques. You can pinpoint other methods that are included in the overall plan. The last thing you want the prospective client to think is that you have no idea how techniques like paid advertising or paid search work for a successful engagement. Your client needs to know that you can generate leads that will concert to traffic that will keep their business firm. It is not unlikely to find a question on recent Google algorithms on an SEM RFP. Google algorithms evolve, and these evolutions impact how the current marketing techniques work. For example, there was a time where filling content with keywords would work, and when that changed, lots of marketers were affected. Thus, millions of businesses that relied on such material had to evolve. Your client will want to know how well you understand the recent Google algorithms, as well as how fast your digital marketing agency grows with each subsequent changes. This factor assures the client that they are dealing with seasoned digital marketers who understand that the internet environment is always evolving and that your digital marketing agency can change with the times. While it is not unusual, expect to answer on the SEM RFP as to why you have ever rejected a prospective client, if ever. Be honest. Let the potential client know what led to the rejection. Asking these questions lets the prospective clients gauge the kind of business relationship to expect, and how structured your boundaries are.